백자 달항아리는 규모가 큰 항아리로서 높이와 몸통의 비례가 적당하며 몸통의 둥근 곡선도 매우 부드럽게 이어져 있다. 몸통이 둥글고 큰 양감을 나타내는 반면 입과 굽이 상대적으로 작은 편이어서 단정한 느낌을 준다. 좌우대칭도 완전한 편이고 몸통에 별다른 움직임과 변화가 없으며, 투명한 유약층 밑으로 엷은 유백색을 띠는 태토가 비쳐 보여 전체적으로 평온한 분위기를 주며 보존상태도 우수하다. 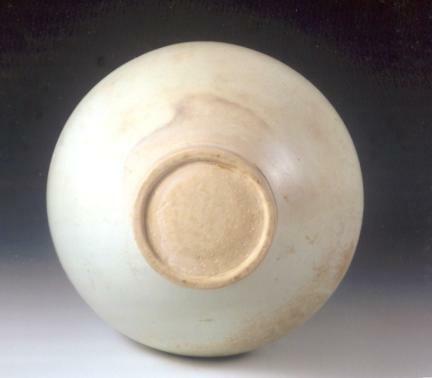 This white porcelain moon jar with a full, globular body is preserved in good condition. 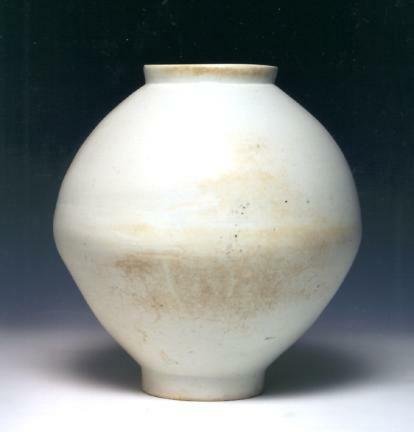 The height of the jar and size of its body are proportionate, while the curves of the round body flow smoothly from the mouth to the foot. In contrast to the voluminous body, the mouth and foot are relatively small. The body displays a perfect bilateral symmetry, and there are no distortions or irregularities in the overall form. 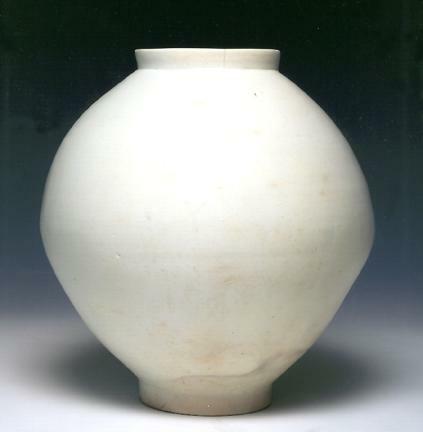 The pale milky-white color of the clay is revealed through the clear glaze, exhibiting a serene, graceful beauty.